Clockwise from right: Put your feet up and enjoy the view on top of the world; sampling the ‘Hugo’, the mountain aperitivo; the mountains are for cyclists and walkers alike; the cable cars run all year round; even dogs are catered on top of these mountains! Over the past few years, Alta Badia has been growing its culinary reputation and,Corvara. The Dolomites are a popular summer retreat for many Italians. 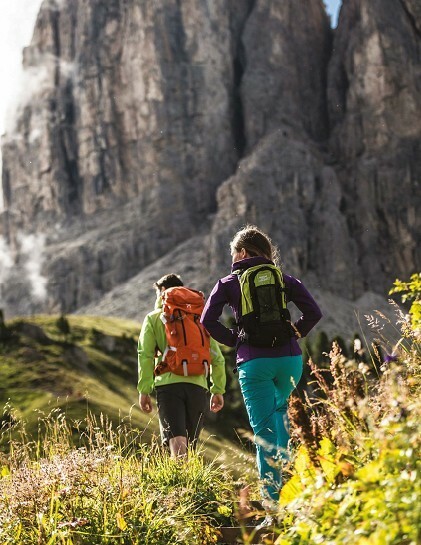 We’ll show you how walking takes precedence over the winter activities we usually associate with this beautiful region. We also visit the secret green spaces of Italy’s cities, perfect oases if you are taking a summer city break. 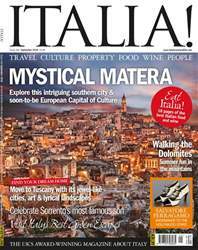 And we visit Matera, a city once known as ‘the shame of Italy’ but now set to become the European Capital of Culture.